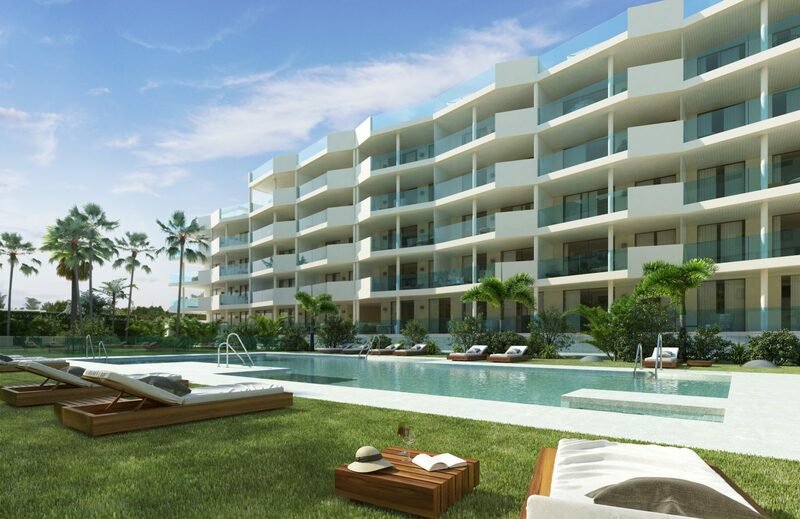 New development in Las Lagunas in Mijas Costa with 124 apartments of 1, 2 and 3 bedrooms. Penthouses with large terraces. The promotion is close to Fuengirola with all the advantages that a city has, in addition Fuengirola has many beaches equipped for tourism along its 7 km of promenade. This elegant and innovative development offers a communal space with swimming pool, gardens, gymnasium and play area for children. Each apartment has a private parking space and a storage room in the basement. The properties of 1 bedroom start from 99.000 €, 2 bedrooms 165.000 € and 3 bedrooms 199 000 €.